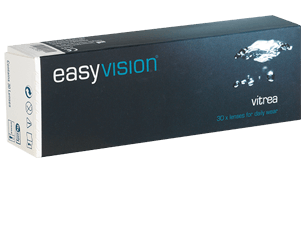 easyvision daily vitrea lenses offer the convenience of single-use lenses at outstanding value. These lenses benefit from a handling tint making them easier to see while putting the lenses in and taking them out and remain moist and comfortable throughout the day. €26.25 per month (30 pairs) by direct debit. (Alternative quantities available. Minimum purchase 3 months.) Available exclusively in-store.